The Ocean Plaza is a multi-million pound shopping and leisure park on Southport’s seafront. It offers numerous dining, entertainment and shopping options. 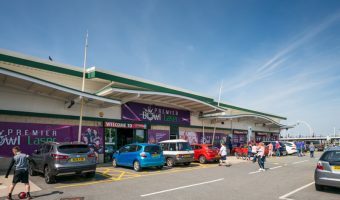 Retail businesses are located at the northern end of the park and include Matalan, Dunelm, and Pets at Home. The southern side of the park is geared towards entertainment and leisure. 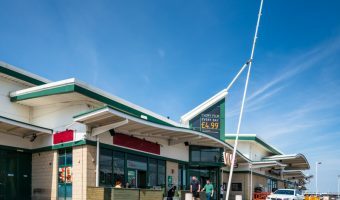 Businesses here include the Vue Cinema Southport, the Playtown children’s play centre, Premier Bowl and Laser, and Frankie and Benny’s Italian restaurant. Dunelm – Home furnishings, bedding, curtains, blinds, lighting, kitchenware etc. DW Sports – Sports clothing and equipment. Matalan – Discount retailer offering clothes for all the family and homeware. Pets at Home – Pet supplies. 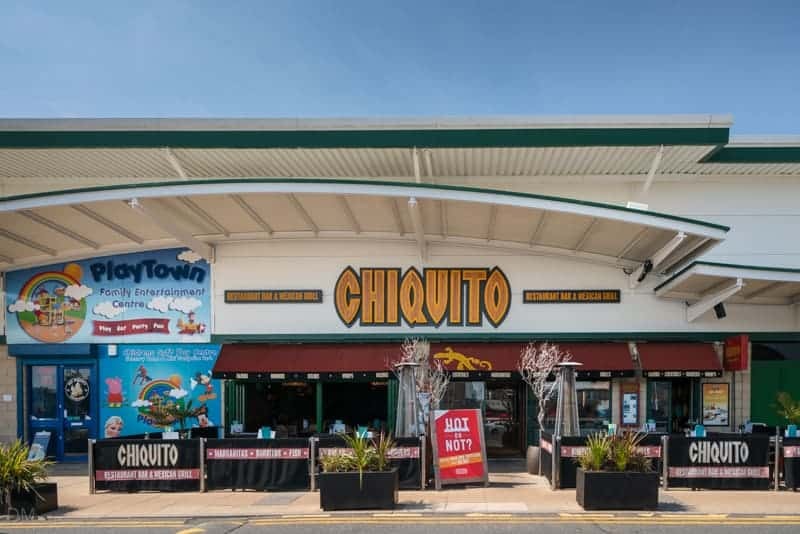 Chiquito – Mexican and Tex-Mex. DW Fitness – Fitness club with training area, free weights area, studios, and swimming pool. Nando’s – Restaurant known for its Portuguese peri-peri chicken. Playtown – Children’s indoor adventure play area. 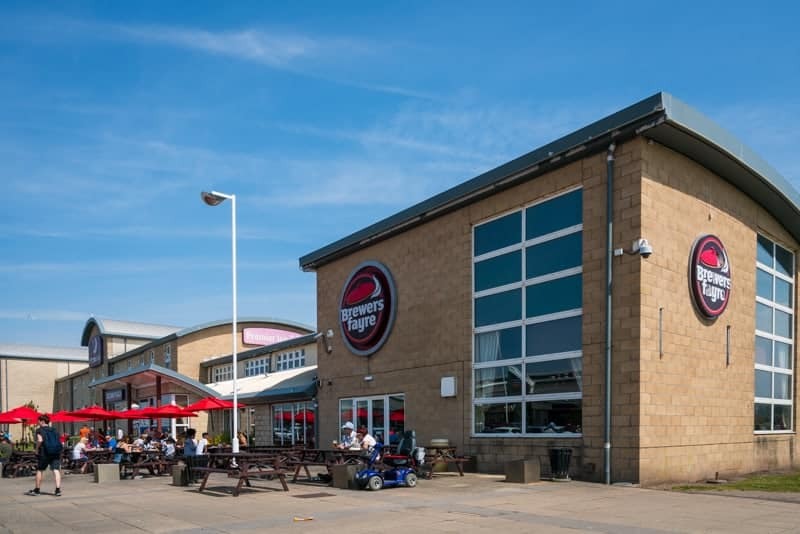 Premier Bowl & Laser – Tenpin bowling and laser game. Premier Inn Southport Central – Hotel. Vue Cinema Southport – 8-screen cinema. The Bella Italia restaurant here closed in summer 2014. Ocean Plaza is situated on Marine Parade in Southport (postcode PR8 1SB). Car parking is available for 1,200 vehicles. Parking is free but time restrictions apply. 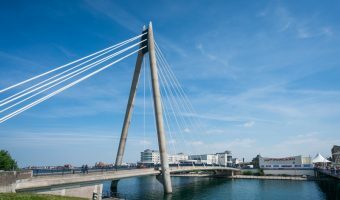 The Marine Way Bridge links Ocean Plaza to Southport town centre. 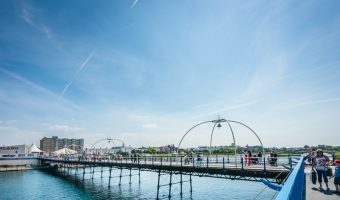 Southport Pier can be accessed by a ramp. 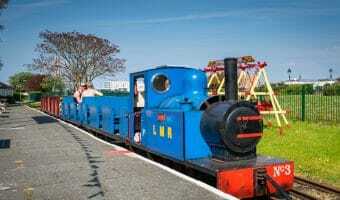 Marine Parade Station (Lakeside Miniature Railway) lies between the retail and leisure side of the park. 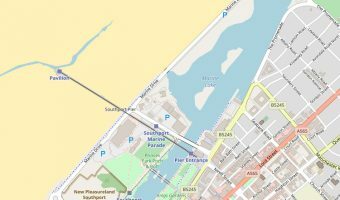 Southport Train Station is approximately half-a-mile away. 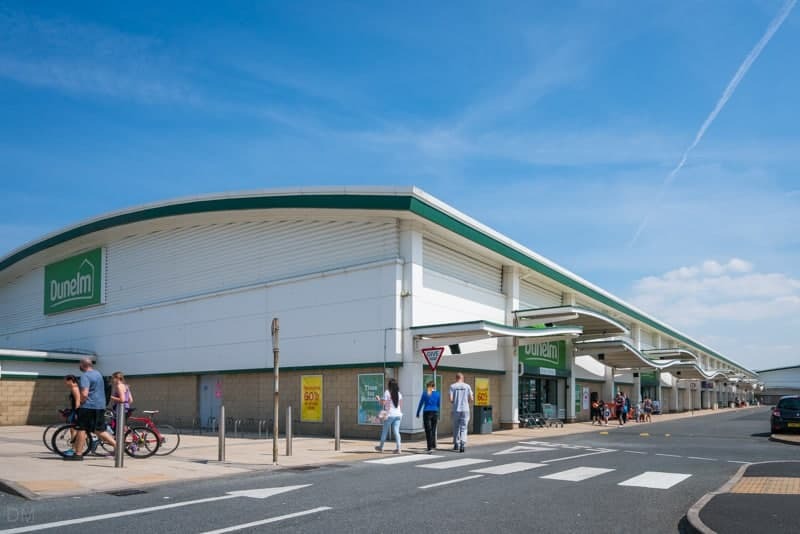 Other retail parks in Southport include the Central 12 Shopping Park, Meols Cop Retail Park, and Kew Retail Park. Map showing location of Ocean Plaza Southport. GBK opening 9 February at Ocean Plaza Southport. Ten pin bowling and entertainment centre at Ocean Plaza, Southport. Find out what films are showing at the Vue Cinema Southport.